Let’s face it, nobody likes white socks. They get dirty faster than any other color sock, they look funny with any other shoe color except white, and they are just all around plain and boring. So if your sock drawer is full of nothing but those plain and boring white socks, it’s is time to stock up on something that’s a bit more cool. 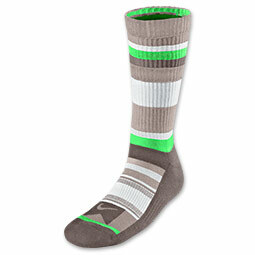 Luckily for you, Finishline.com has plenty of cool socks for both the ladies and the fellas. You think that just because your socks are no-show it doesn’t matter what they look like. Well, you are wrong. Some people require you to take your shoes off when you enter their home, so save yourself the embarrassment of showing those dingy white socks, and pick up a 3-Pack of the Sof Sole Sport Fusion Footies. These no-show socks feature a very cute tie-dye pattern, so cute that it is almost a shame to ever wear shoes with these puppies. 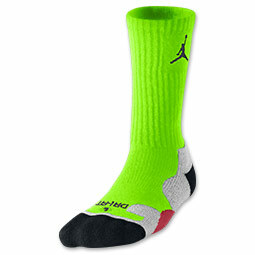 Whether you are going to play basketball in them or not, it’s important to always have on a cool pair of socks. 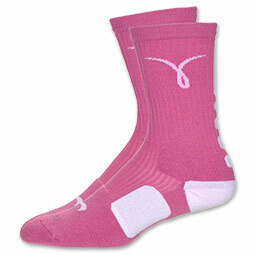 The Nike Kay Yow Elite Cushioned Basketball Socks just might be the perfect option for you, because they are just as cool worn on the court as they are rocked casually between practices. The unique pink high top design will immediately grab people’s attention, and the Breast Cancer Awareness Ribbon will spread the word for a good cause. For those of you guys out there who love to skateboard, there is finally the perfect sock out there for you. The Nike Stripes Skate Socks are perfect for ripping it up on the short board, because they come specially equipped with extra padding in the ankle and shin for added protection. Not only are they great for boarding, but they also look great too. Available in several unique striped colorways, everyone will be asking you where you got your socks next time you head to the skate park. If you’ve been looking for some new socks for the hardwood, the Jordan Gameday Crew Socks just might be the ones for you. These socks come equipped with additional cushioning in the heel as well as the toe to ensure that your feet stay comfy game after game. 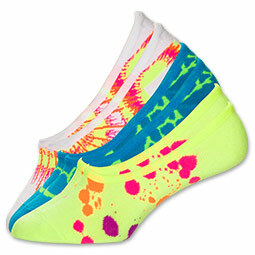 If you are more concerned with breaking necks than breaking ankles, these socks will do you justice as well. They are available in just about every color you can think of, and their unique design styling will keep you looking fresh. Retro Jordan's: New Colors or OG?